The oil is gone! Long live the oil! A week or so ago White House energy adviser Carol Browner was hitting the morning TV circuit, telling anyone who would listen that the majority of the more than 200 million gallons of crude that gushered into the Gulf of Mexico from BP’s Deepwater Horizon blow out on April 20 was gone. According to Browner 75 percent of the oil had been captured, burned, evaporated or broken down by natural environmental processes. It’s long been understood that the Gulf is quite resilient when it comes to oil and other hydrocarbons. After all there have always been seeps along the Gulf floor where hydrocarbons bubble up and escape. And since the beginning of the offshore boom there have been leaks and accidents. Today with more than 600 platforms and over 30,000 miles of pipeline in the Gulf leaked oil is not hard to find. And the warm fecund waters of the Gulf apparently produce a plethora of oil-gobbling microbes. And crude is water-soluble. Just the expanse of the Gulf and the motion of the ocean help dilute and disperse the oil. But how gone is gone? Remember, we’re talking about BP and government estimates. 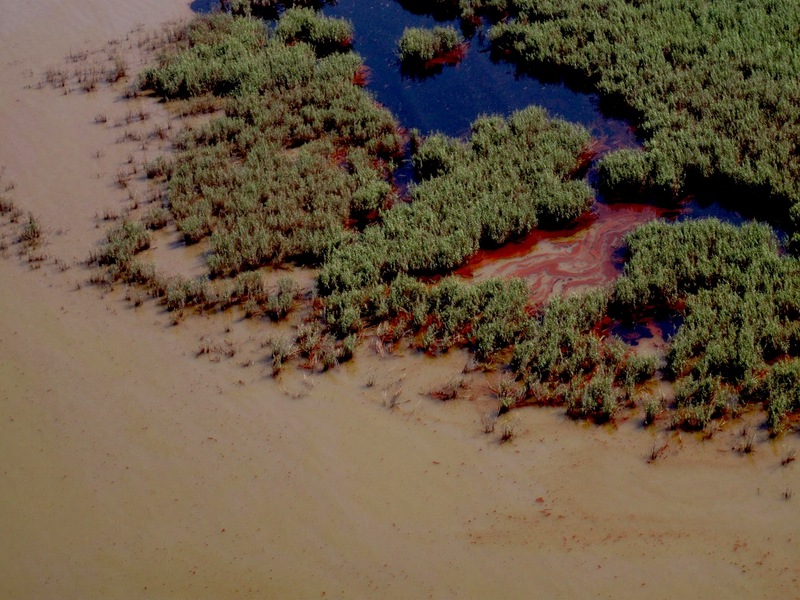 They told us in late April that – gasp – 1,000 barrels a day were leaking into the Gulf. After they went back and sharpened their pencils they admitted that was a slightly low estimate – and it was more like 40,000 barrels or more per day. They also told us, initially, that there was no underwater oil because oil rose to the surface. But discoveries by researchers from the University of Georgia, the University of South Florida and others of huge undersea plumes of oil that could be traced back to the Deepwater site made them recant those statements as well. Apparently there are no more huge slicks sliding around on the surface of the Gulf and that is, indeed, a good thing. But the status and/or effects of those undersea plumes, where cooler temperatures and fewer microbes could mean a longer shelf life for the oil are still to be determined. And Browner failed to mention that the 25 percent of oil unaccounted for in that report is more than 10 times the total volume of oil spilled by the Exxon Valdez. If BP and government officials are having trouble finding oil, I’m sure Louisiana coastal residents could help them out. Drew Wheelan, American Birding Association’s conservation coordinator did a fly over of coastal Louisiana in early August. “In the last four days I have seen more oil, by volume than I had previously in my entire first 11 weeks here in Louisiana,” reported Wheelan. There were also reports of oil onshore last week from Pelican Island, Oyster Bayou, Bayou De West and many other locations. Plus slicks near South Pass and North Pass at the mouth of the Mississippi. The well is not leaking at the moment and the oil in the Gulf is being diluted and/or dispersed and both of those are really, really good things. 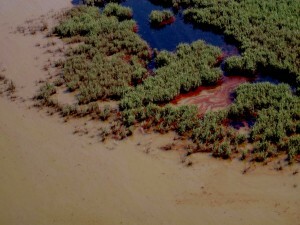 But there is a lot of oil left in the environment, especially in coastal Louisiana, and there are a lot of unanswered questions regarding the fate of those undersea plumes. I wouldn’t raise any “mission accomplished” banners just yet.